In the past few years we’ve seen electronic music mingle with the mainstream more than ever before, with DJs like The Chainsmokers, DJ Snake and Jack Ü topping charts across the globe. In turn, we’ve seen Top 40 epics incorporating electronic styles into their own work, and had DJs collaborating with artists outside their own genre to create massive crossover hits (see Major Lazer’s “Lean On” and Disclosure’s “Latch”). The latest comes from German DJ duo, Drunken Masters, who joined forces with vocalist John Gourley from Portugal. The Man to create their grooving bass-heavy single, “Louder” (released 11/4/2016 via Fool’s Gold Records). Drunken Masters is comprised of schoolmates-turned-friends Christopher Rabai and Joe Gehring. 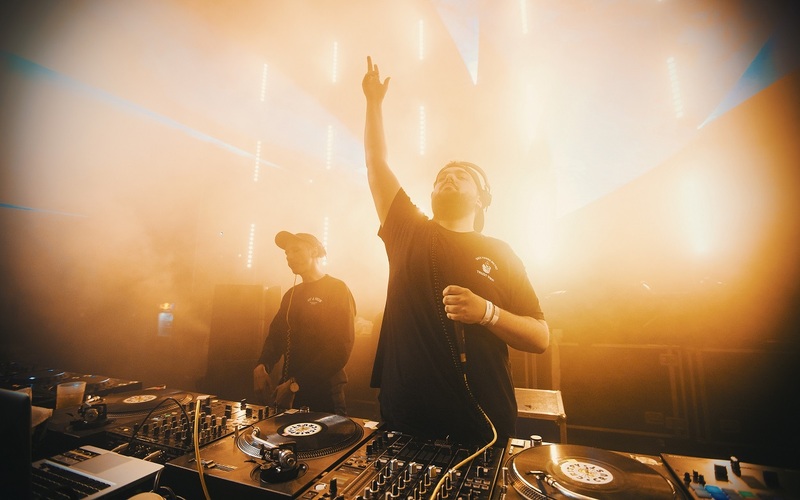 Together, they create crowd-moving party music that has shocked stages all across Europe while touring with the likes of DJ A-Trak and German hip-hop group Genetikk. 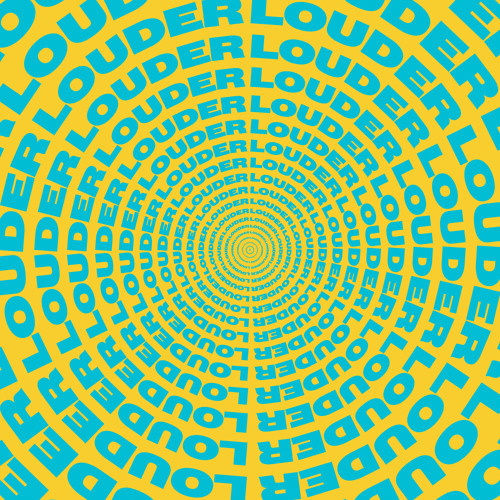 Though many electronic collaborations may be hitting the airwaves, “Louder” finds a way to break out from the crowd with a clear psychedelic rock influence and sweet, finger-snapping vibes. The song recently topped the Hype Machine’s “Most Popular Tracks” chart, and is currently trending on Spotify’s “Viral” charts for the USA (#9), Canada (#1), and World (#26)! Atwood Magazine caught up with the explosive duo over email while they were between shows in Germany to discuss their path to “Louder,” their curated music label Crispy Crust Records, and the German DJ scene. With a clear passion for bringing the beat to the people, Drunken Masters are poised to become a force to be reckoned with as they continue to build an impressive portfolio of high energy remixes, long form mixes and original bangers. Atwood Magazine: Can you guys tell me a bit about how and when the two of you met? Drunken Masters: We know each other from school. We actually never had a class together but we had some common friends and that’s how we linked together. What’s the DJ scene like in Germany, where you both hail from? Drunken Masters: In Germany we have a very big club scene, so you can find any kind of DJ/Producer in Germany. You have big names like Boys Noize and Felix Jaehn, you have scratch nerds like DJ Rafik, urban hip-hop DJs, popular techno DJs and of course a lot of big room DJs who play every kind of music. “Drunken Masters” seems a very fitting name for the style of music you produce. How'd you settle on that? Drunken Masters: We were searching for a good title for our first mixtape and ended up watching a lot of movies to try to find some inspiration. We found this old Jackie Chan movie called “The Legend of Drunken Master” and thought the name would be perfect. What inspired you to join forces and become the DJ duo you are now? Drunken Masters: After we finished school we both started working in a local skate shop and the owner knew that we were both DJ’ing. In 2006 he asked us to do a promo mixtape for the customers of the skate shop and once we released it, everyone was hyped. After that, our friend DJ Smart asked us to support him at his party and it was the first time we ever DJ´d together on four turntables in a club, and the crowd was going nuts, so we figured it was a good idea to keep pursuing this. You guys started out remixing tracks for huge names like Diplo and Major Lazer. How do those early remixing days influence your newer, original work? Drunken Masters: Remixing songs helped us get more and more into production. In contrast to a lot of producers, we first started DJ’ing and began to produce after we needed some edits and remixes for our sets. After doing some remixes we got confident enough to make our own original material that was on the same level as the remixes we did in the past. You two met John Gourley from Portugal. The Man at a show. What show was that at? 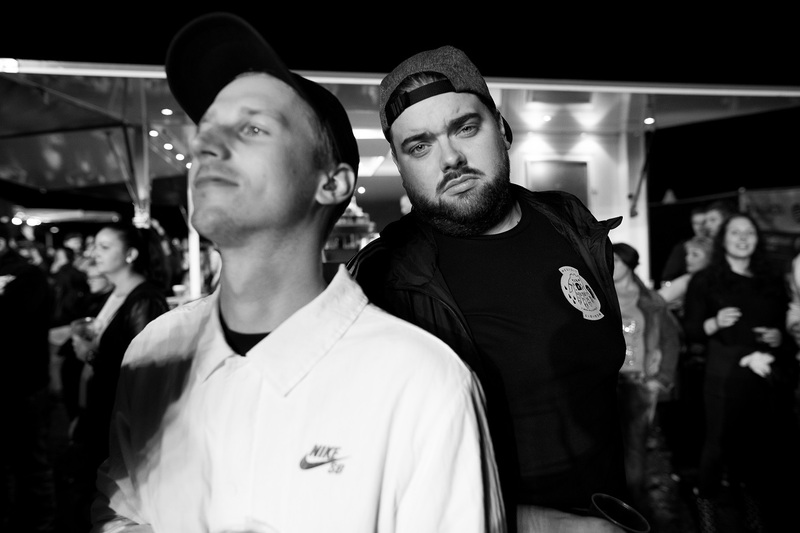 Drunken Masters: Our good friend and German rapper Casper invited the band to support him on his stadium-tour through Germany. We met John backstage at their show in Munich and drank a lot of beers, like original Bavarians do, and kept in touch. How did you end up running into each other and getting onto the topic of collaborating? Drunken Masters: John eventually asked us to look over some of the new Portugal. The Man material because they felt a bit stuck. After talking about their music for a while we asked him to lay down a topline on the chord progression we already had for “Louder” and the song came about naturally. How was the process of working with John different than other collaborations you’ve done with DJs and producers? Drunken Masters: We are based in Germany and John lives in Portland so we never had the opportunity to do a studio session together. We just sent stems and ideas back and forth and facetimed a couple of times. You said it took about a year and a half to get “Louder” to where you all wanted it. What elements were you and John tweaking throughout that time? Drunken Masters: John’s vocals were amazing and we just wanted to make sure the production was on the same level as his voice. We basically kept stepping our game up every version. We wanted to make a song with a vibe that also was able to fit in our energetic DJ sets, so it took us several versions to get the drop where it needed to be, especially in the sound-design and mixing phases. What made you guys realize the track was finally ready? Drunken Masters: Honestly, when we sent the demo to A-Trak and he said he wanted to sign it to Fool’s Gold, haha. It was a really big moment for us. The Drunken Masters are definitely known for big, bass-heavy party tracks. What do you think the change in style on “Louder” means for your future work? Drunken Masters: Our performances and the music we love to play live always drives the music we produce. We want to collaborate with more vocalists in the future but there will always have to be a lot of bass in it for sure – as long as it can fit into our shows. You two joined forces with Eskei83 to create Crispy Crust Records. What was the inspiration behind creating that label and where do you hope to see it go? Drunken Masters: We started working with Eskei83 a few years ago. He is a really good guy and one of the best DJs in the world. We thought it might be a good idea to join forces with him to give bass music a platform in Germany. Of course we know there is a long way to go with the label but our plan is to grow it step-by-step and to release the best music possible. Since we started the label it felt like the whole bass music scene in Germany started growing together as a big family. How do you balance your work between the label and what you’re doing with Drunken Masters? Drunken Masters: Our work for Drunken Masters and the work for Crispy Crust goes hand-in-hand. It definitely depends on the actual projects we are working on, but we sometimes wish the day had more than 24 hours to work on everything. If you had to choose your top festival you’d love to play at and top country you’d want to perform in, what would they be and why? Drunken Masters: Ugh, that’s a really tough question because there are so many great festivals and countries we would love to visit or play. Let’s take a raincheck on this question! What's your favorite memory as Drunken Masters so far? Drunken Masters: There was one time we had a festival gig in London and we played Oasis’ “Don´t Look Back in Anger” as our last song and the crowd went crazy. It was so amazing to stand in front of 20,000 people singing together. The stage manager came on stage with tears in his eyes and we had goosebumps everywhere. Definitely one of the best memories we’ve ever had playing live. Where do you see Drunken Masters going from here? Are there more collaborations like “Louder” on your radar? Drunken Masters: We have a few more songs in the pipeline for the next months. Our next release will be a single with our buddy Eskei83 called “Rave.” It is a groovy future bass tune and will be out by end of the year. We also just released a mixtape with a lot of unreleased songs and edits.